Lots of users prefer Delicious How to Use Delicious to Organize Your Student Life How to Use Delicious to Organize Your Student Life Read More or Diigo 7 Reasons Diigo Tastes Better Than Delicious 7 Reasons Diigo Tastes Better Than Delicious Read More (which I personally recommend) to manage and share their bookmarks and Xmarks 5 Google Chrome Extensions That Could Finally Make Me Switch From Firefox 5 Google Chrome Extensions That Could Finally Make Me Switch From Firefox Read More to keep favorited sites in sync. However, not everyone is ready to switch and get used to these services when you can just save a site right in your browser, where you can see it. When you start bookmarking lots of sites in Google Chrome, you can easily search for them in the Omnibar or in the Bookmark Manager (Ctrl + Shift + B). 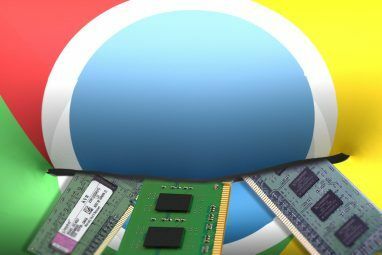 Google is beyond famous for its powerful search engine, but when it comes to searching for bookmarks within specific folders in Chrome, you’re out of luck. As of right now, there’s no obvious way to accomplish searching within certain Chrome bookmark folders, unless you get these extensions. Install the extension and click on the Atomic Bookmarks icon. 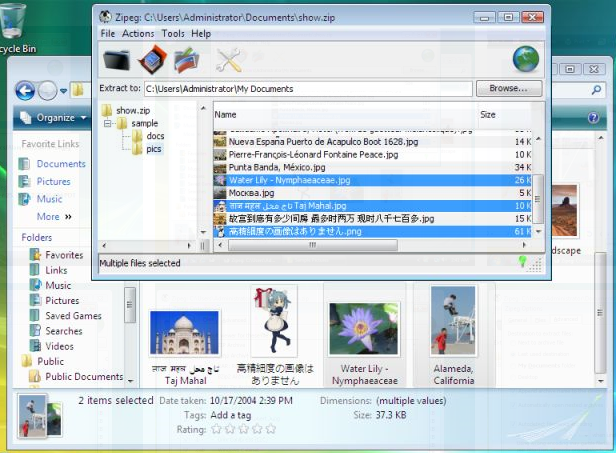 Select the folder you wish to search and type a keyword. Press Tab to select the next item in the search results. You can use the Down key to go down the list of results. Hit Enter to load the bookmark in a new tab (customizable)! You can customize whether you want to open the bookmark in a new tab, window or the current tab by right-clicking on the Atomic Bookmarks icon and selecting Options. Other options include the ability to see more information of the bookmarks on hover. Another cool feature is that it’ll look for your search keyword in the URL of the bookmark, not just the bookmark name. Even though it offers handy options, make a note that with this extension, you can’t drag and drop, edit or delete bookmarks as its purpose is to help you see in a nice list and filter through your hundreds of bookmarks. If you would like the list of bookmarks without the search function, you can always add ” –bookmark-menu” (without the quotes but with the initial space) to the target (right-click on the Google Chrome shortcut and select Properties) of your shortcut, right after chrome.exe. 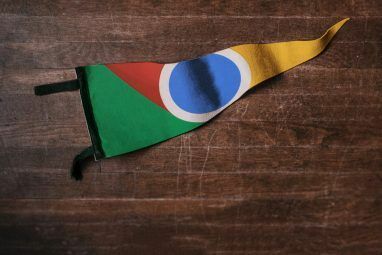 Restart Google Chrome and you should see a new magical button that you get from adding ” –bookmark-menu”. Click on it to see your bookmarks in a list and decide whether or not to hide your Bookmarks Bar (Ctrl+B). EveryMark is an extension that intends to respond as effectively as desktop-file-searching software Everything Top 4 Desktop Search Tools To Find That Elusive File Top 4 Desktop Search Tools To Find That Elusive File Read More (which you don’t really have to even install Portable Everything Makes File Searching Instant On Your PC Portable Everything Makes File Searching Instant On Your PC Read More ). It displays your bookmarks in a nice popup just like Atomic Bookmarks but it offers additional features that Atomic doesn’t. Install the extension and click on the EveryMark icon. To search by folder, type “\FOLDERNAME” + your search term. Use the Down key to select items from the list of results. Hit Enter to load the bookmark in a new tab. Unlike Atomic Bookmarks, EveryMark lets you sort bookmarks by title, URL, folder and date (!) which comes in very handy. You can also right-click on the bookmarks and delete items. Although EveryMark has some very awesome features, I couldn’t help but notice that it can be sluggish at times. Neither Atomic nor EveryMark load bookmarklets, with the difference that EveryMark ignores them in the popup list (so you know they can’t be opened), which means you can’t search for bookmarklets. 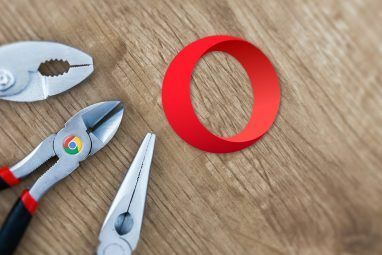 If you have plenty of bookmarked sites and wish to do some spring-cleaning (or just plain-searching for old bookmarks), EveryMark will facilitate your work in Chrome. Did we miss a good extension or an extension-free hack to search within bookmark folders? Please enlighten us in the comments! I also wish I could search the right folder WHILE BOOKMARRKING a page. I never found tha. Any newer tip? The Delicious tip you mentioned is pretty helpful. I might try that. Checkvist is a good find as well, which would work better for me if they had an iPhone app or Twitter integration. Remember The Milk has both of these so I actually just make lists in RTM and make a task out of each list item, even when they're not todo's. That way I can easily retrieve lists by sending a direct message to RTM with !getlist list name. This is probably not the best way to list things since RTM is a task manager, but so far it works for me. I happen to use Delicious Bookmarker and Checkvist. This cuts down on unnecessary tags to be used, which adds more clutter to my clutter-filled life. Checkvist on the other hand, I make hierarchical lists, some of which are links to my favorite sites and with the checkvist plugin I can edit them in realtime, without having to search for them in a separate window. I hope you don't mind me rambling, I love your site it has helped many of my friends and me as well. Have a great day.